Schneider Electric’s Andy Haun highlights the growing microgrid options for communities, businesses and institutions today. 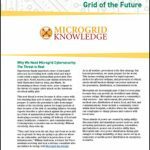 Microgrids or minigrids? Haun breaks it down. In its Q4 2018 Microgrid Deployment Tracker, Navigant Research reported 2,258 microgrid projects, representing nearly 20 GW of capacity across seven geographies. Interestingly, Navigant includes both grid-interactive microgrids and remote microgrids or mini-grids in its tracker. However, these two grid types are quite distinct and are deployed to meet very different energy needs. To increase the development of reliable, resilient energy, we must understand the grid varieties available to address local energy needs. When thinking about the decentralization of energy, many define grid types based on their size, but that can be misleading. Let’s break down the various grid types and their typical usage. Regional or central macrogrid– In a modern energy economy such as North America, Europe or China, the central or regional grid acts as a manager of energy for a large population. It manages electricity supply and voltage to ensure reliable energy generation is provided to all tenants of the grid infrastructure. Minigrid – By contrast, a minigrid is often characterized by its use in remote locations where there is no central grid available. It is also often described as off-grid since it does not require a connection to the larger macrogrid. In emerging energy economies such as Africa, rural communities have found success using minigrids that can operate autonomously or when connected to a localized distribution network. Using distributed energy resources (DER) such as solar or wind, or more likely diesel generators, these minigrids function exactly like a macrogrid, simply on a smaller scale. Not only can minigrid solutions enable better education, stronger commerce and healthier living in rural communities, they play a critical role in preparing dispersed communities for a future energy ecosystem. Microgrid – Unlike a completely off-grid model, a microgrid provides an interactive and functional relationship between the central grid and its users. This is an important distinction. Much like microeconomics is a scale and behavioral relationship with macroeconomics, this interactive relationship allows a microgrid to be connected to and use the services of the central grid, and can support services to the grid when it’s beneficial to do so. A microgrid can also island from the grid and operate as a minigrid would, maximizing the benefits to both the central grid and end users. Microgrids can be deployed in a variety of sizes and locations from a single building to an entire municipality. Regardless of what name these grid types go by, each has an important place in our energy future. And when used jointly as part of a broad, interconnected energy system, we all reap the benefits. For example, to optimize its DER and improve power reliability for more than 10 million customers, Oncor, the largest public utility in Texas, invested in one of the most advanced microgrid solutions in the country. Today, the utility provides greater stability to an overtaxed grid, reduces outages and delivers lower costs for its customers. Not only can minigrid solutions enable better education, stronger commerce and healthier living in rural communities, they play a critical role in preparing dispersed communities for a future energy ecosystem. Using decentralized energy technologies that will electrify rural populations who do not have access to electricity, we can improve agricultural activities through irrigation or crop conservation systems and change their overall economic conditions. As the Navigant Research deployment tracker shows, microgrid deployment continues to rise in markets around the world contributing to a more decentralized energy distribution model.While mature energy economies look to modernize their infrastructure and provide more resilient energy, emerging economies are looking for access to reliable energy. In both cases, the use of DER and microgrid or minigrid technologies can increase the availability of abundant, reliable energy to unlock the full potential our businesses and our communities. 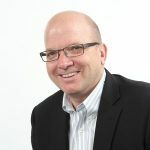 Andy Haun is senior vice president and chief technology officer, microgrids, at Schneider Electric. Andy my company has developed a grid-edge technology I would like to send you information on with no obligation. It is scalable from residential to small town to large city scale and is fuel flexible and process flexible. I think it’s well positioned to back up solar and wind and enable renewable energy to spread over the nation more quickly and more deeply. Can we correspond?